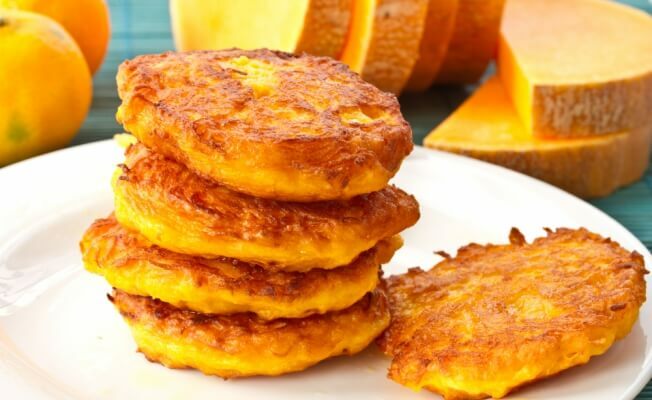 If you want to have a tasty and healthy breakfast – then cook soft and flavoured pumpkin pancakes. 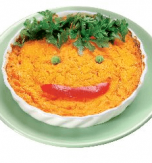 The process of cooking is very easy and the result is amazing. 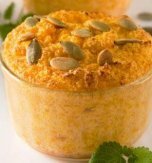 Peel a pumpkin and remove the seeds. Grate the vegetable and transfer it to a griddle. Pour milk above and stew the ingredients till done. Add flour, yolks grated with sugar and whipped whites of the egg. Mix the ingredients until combined. Set aside. Heat a frying pan over medium heat. Coat it with oil. Once hot, pour the prepared batter on a pan and fry the pancakes on both sides (about 2 -4 minutes for each side). Serve the pancakes hot with sour cream or fruit jam. Tip! 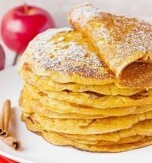 You can freeze the pumpkin pancakes and cook the dessert later (the pancakes can be kept in a fridge about 2 months). 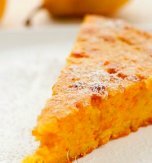 Do you have a favorite Ukrainian recipe for pumpkin flapjacks? If so, please let us know in the comments below or write us an e-mail.